There is something about fun out-of-the norm activities that break up the routine of daily life and make the day memorable. 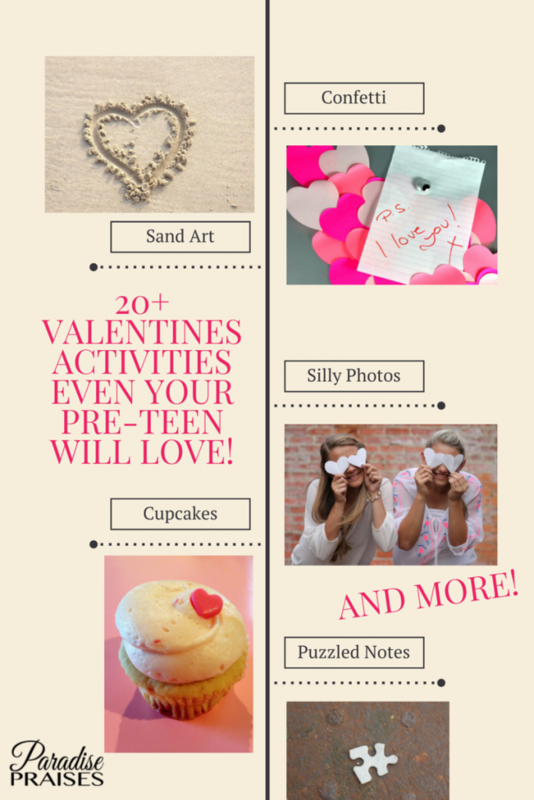 Together with my pre-teen daughter, I have put together a list of more than 20 activities that can brighten up your Valentines Day and help you create fun Valentines memories together. 1. 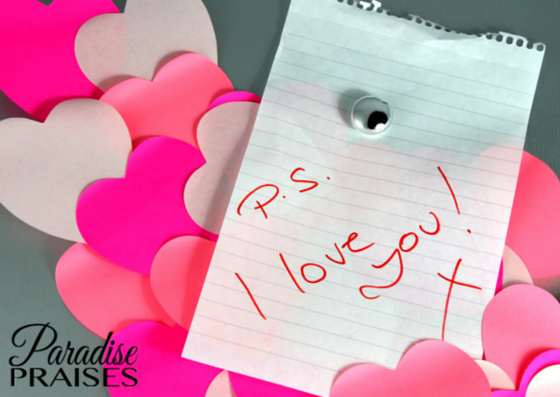 Cut out paper hearts of several sizes and colors and confetti the floor with them. So fun to wake up to this in your room, but also works well in a living or family room! 6. If you live near the beach go write hearts and “I love you's” in the sand. Be sure to take your camera! I love to take beach photos with my camera! 7. Set your timer for every hour and have your kids race to the “heart” of your home (whatever location you pick) every time the timer rings to collect a special treat or surprise or instructions for a new activity. 10. 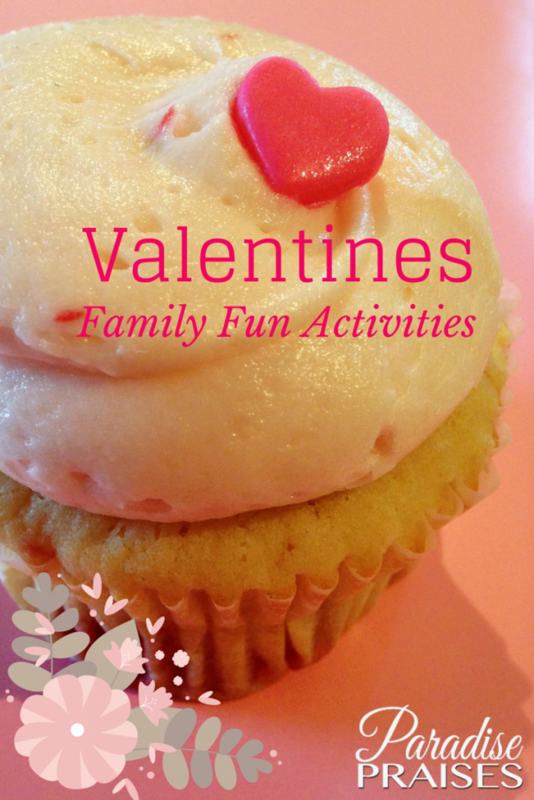 Bake red velvet cupcakes, or any and decorate for Valentines Day or a heart shaped cake. I always loved Valentines Day because my Grandma would make her signature chocolate hot water cake as a double decker heart-shaped cake! Get heart-shaped pans here. 11. Stage a bake sale for the neighborhood, but give away your goodies with a homemade Valentine and a gospel tract for each person. (We did something similar at Christmas with cinnamon rolls. Read about it here.) 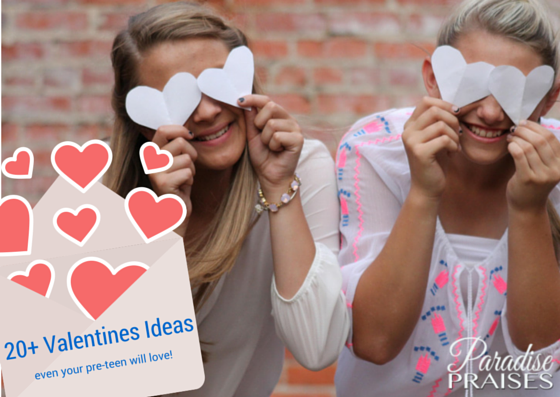 Find free printable Valentines here. 12. Eat a red and white meal. Fancy up your table with paper doilies and confetti, use Valentine paper plates, napkins and cups or the fancy family tea set or party glasses. 18. Make red and pink playdough. Use this recipe from Kids Activities Blog to make super soft playdough with just 3 household ingredients. Need more activity ideas? 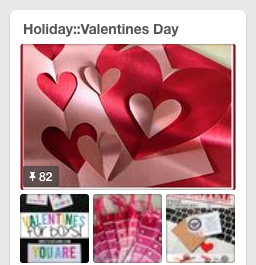 Check out our Valentines Day Pinterest board! Do you have other ideas? I'd love to hear them! Please leave a comment! Thanks for leaving a note! Happy Valentines Day!